Dreamwallstyle is a collective blog – Jam Packed ‘mish mash’ of lots of things..
Every christmas my mother gets busy in the kitchen making batches of my ‘Granny Rose’ famous Plumbread. This recipe is very special to my mother as my ‘Granny Rose’ my mum’s mum died of breast cancer when my mum was only 27 yrs old. My mother has kept the most amazing hand written recipe book that dates back over 45 yrs full of old hand written recipes passed down through the family. On today’s Dreamwallstyle post I want to share this lovely recipe, some may already know it, if not then please do try it! My Granny always called this recipe ‘Plumbread’ to others it is called a ‘Tea Loaf’ as the sultanas are soaked in Tea. ENJOY! Put Fruit and sugar in Basin (mixing bowl) strain tea and leave to soak over night. Once soaked Sift flour, salt, Rub in fat, stir in the beaten and the soaked fruit mixture. You have a really nice blog Hannah! Thank you for this recipe. My Aunt made fabulous Plum Bread and I have been looking for a proper recipe that is cakey rather than bready! Mine have created a bit of a muffin top over the tin – is that because I used the liquid? Will it be OK? Also how long before we try it and how long does it keep? Thankyou, I lost my recipe, tried others, prefer this, I am quite excited to have found it again, F Rose, as you will see I am a Rose!! As a child I found some of my Mum’s plum bread in a tin in a property we had left empty for about 5 years, only I hadn’t realise it had been there so long. It was more moist and more delicious than her usual. So I can say the longer they are kept the better they taste. Hi I’m going to try this receipe how many does the ingredients make please . Mum said it should make two 1lb loaves, thats what she does, she said if you use a 2lb loave the cooking time changes but shes not sure on the time of that, but she said keep testing it to check its cooked. mydeco.com is uniting bloggers in a series to create a definitive list of blog posts. Read more at mydeco.com Pass It On. 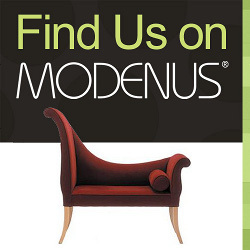 BlogTour NYC Sponsor: Rotsen Furniture one of a kind! Key Trends from Surface Design: 3D Approach, tactile, liner, asymmetrical combination of textures.